Most can see that modern technological advances have made life a lot more convenient and comfortable. Air conditioning is one such advance, used now in most homes, office buildings, and vehicles across North America. But did you know that air conditioning also makes life healthier? Air conditioners can also help ward off asthma and allergy attacks by filtering out airborne pollen from grasses, weeds, and trees. Unfortunately, there is a flip side: fungus and bacteria find air conditioners an excellent breeding ground. The key to keeping your air conditioner beneficial for your health—and kind to your wallet—is frequent filter replacement. Dirty filters adversely affect your air quality, and they also decrease your AC’s efficiency. 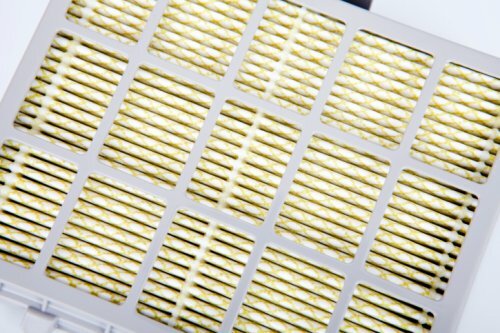 Equally important is the quality of the air filters you use. Air conditioning filters are rated using the Minimum Efficiency Reporting Value (MERV). For home AC units, the scale runs from 1 to 12: the higher the number, the better the filtration it provides. How Often Should Air Filters Be Changed? When it comes to air quality and air conditioner filter replacement, the general rule of thumb is a change once a month. However, if your home is blessed with pets, you may want to change your filters more often, as pet hair tends to clog filters quickly and dander buildup can be counterproductive to your health and the health of your family. How well did the system work when they left? Did the technicians leave the working area clean? If you find that you still have questions regarding air quality and air conditioner filter replacement, contact the experts at Clean Air Solutions. They can answer your questions and also help you choose what’s best for your needs and your home.